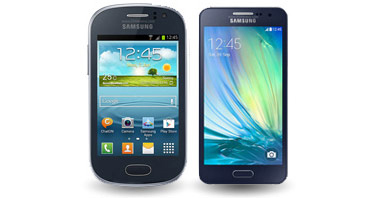 As the best-selling Android smartphone range, Samsung provide choice through a large selection of handsets. Rethink what a phone can do. 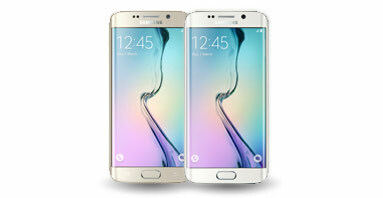 What makes Galaxy smartphones great? Because there are so many phones available, you’re guaranteed to find a phone that’s right for you. From the Mega to a pocket friendly S5 Mini, Samsung mobiles offer different sized screens to display video and social content. 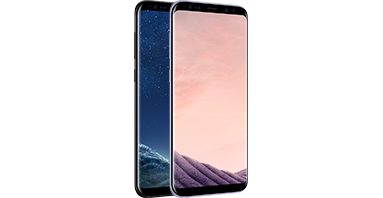 Choose from premium feature led smartphones such as the Galaxy S5 with finger print scanning technology and a top of the range digital camera technology. For the more creative types, the Note series allows users to jot, annotate and doodle over images using an intuitive stylus that’s loaded with gestures. Releases such as the Fame and Young are designed with affordability in mind. Enjoy Android functionality and essential features on a budget with our range of pay monthly contract deals. What are the stand out features? 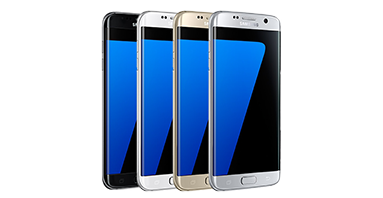 Samsung’s range, use a reskin of the Android operating system known as TouchWiz. Manage your applications with ease from the Google Play store and personalise your home screen with a variety of themes and wallpapers. Many of Samsung’s line-up feature motion gestures that allow you to control your device beyond the touch screen. Use Direct Call on the Galaxy S3 to phone a friend just by placing the smartphone to your ear. Smart Pause on the S4 will freeze a video when you look away from the screen. Even in the affordable range, flipping the screen face down on a table will put the handset into silent mode; perfect for conference meetings. Use S Beam to wirelessly transfer audio, video and documents to another Galaxy smartphone with a bump. Samsung phones really do offer intuitive gestures designed to keep your life on the move. Many Samsung smartphones are compatible with 4G connectivity. Choose a 4G tariff from O2, Vodafone or EE and enjoy download speeds at least 5 times faster than a standard 3G signal. From multiplayer gaming on the go to streaming high definition videos on Netflix, 4G connectivity lets you do it faster. The new Galaxy S5, features a Download Booster to combine your 4G connectivity alongside 5th generation Wi-Fi, helping you to download large files at accelerated speeds. Can I connect to my other devices? You can't go wrong with the stacks of connectivity options to help you get the most out of your tech. The Galaxy S5 is compatible with the new range of Gear smart watches from the premium Gear 2, to the health loving Gear Fit. Many Galaxy devices feature AllShare Play; a service that enables content to be shared across multiple devices. Send videos wirelessly to your television and enjoy a seamless viewing experience. With real-time content sharing, why not edit work documents on the go and let your colleagues provide input? Photos can even be backed up on your web storage automatically, ready to be viewed on your desktop or tablet device. 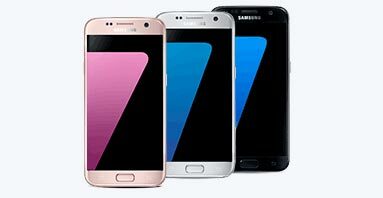 Why buy a Samsung from us? 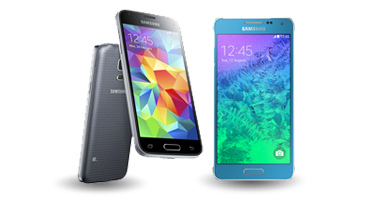 Here at mobiles.co.uk, we strive to excite you with deals that are just too good to refuse. 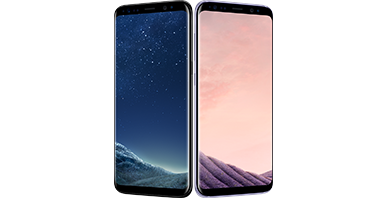 Our huge range of Samsung smartphones mixed in with some of the lowest prices in the market, brews the perfect formula for a bargain you’ll love. From the awards in our trophy cabinet to our gleaming customer service scores, we’re recognised as industry leaders in mobile retail and won’t let you down. We are the smart phone people and we’re here to stay. 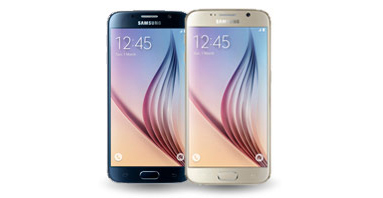 Crowned Best Online Retailer by Mobile Choice and uSwitch, we’re the place to purchase a your new phone. Stay safe and shop with the best. You could say, we’ve been selling phones from light years ago. We have the experience to surpass your mobile needs. All of our customers can enjoy free delivery on their mobile phone purchases. Another great reason to shop with the smart phone people.